Law degree is no longer mandatory. 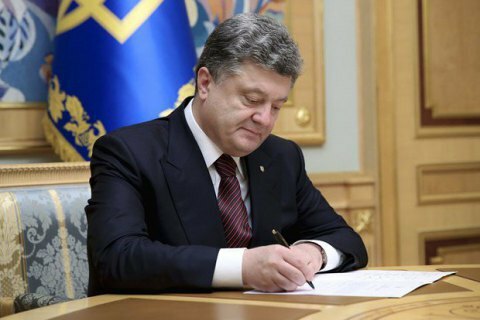 President Petro Poroshenko has signed a law adopted today which allows the appointment of a person without a law degree as the prosecutor-general. The law introducing amendments to certain legislative acts of Ukraine regarding the Prosecutor=General’s Office of Ukraine adjusted the qualification requirements for a candidate for the top prosecutorial post. Under the amended law, a person, with a higher education degree and work experience of at least 5 years in the field of law or experience in a legislative and/or law-enforcement body, may be appointed to the post. Previously, the law required a candidate to have a law degree and five years job experience as prosecutor.